Northern Arizona is the perfect destination for families who love adventure and exploring the outdoors. 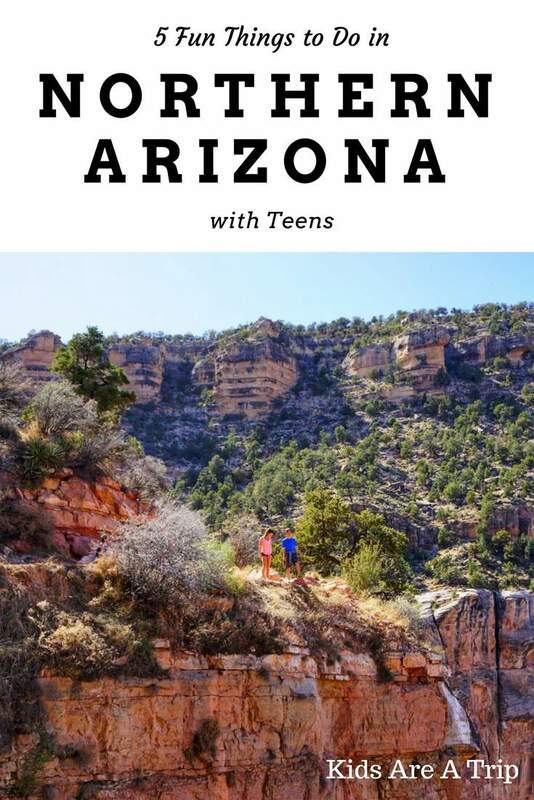 Our teen contributors Kiera and Landon spent a week on an Arizona spring break trip and found there was plenty to see and do. Here are their suggestions for fun things to do in Northern Arizona with teens. 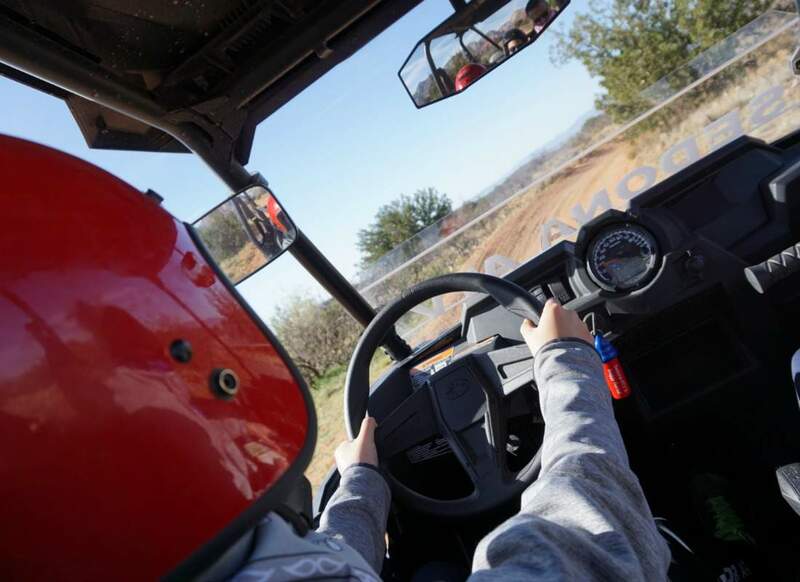 When in Sedona, consider renting a Polaris (four seater open air off-road vehicle) from Sedona ATV and Buggy. It was an experience like no other. First, they fitted us with helmets and goggles. They sell bandanas which are definitely worth the money. We looked like outlaws but the bandanas protected our nose and mouth from the fine red dust that was kicked up by the wheels. As we climbed in our amazing four wheeler we noticed it was well equipped and prepared for every situation. There was a GPS phone, a fire extinguisher, and a cooler filled with water bottles. When we took off the engine roared. The whole Polaris was shaking. We drove on a paved road for a short while until we reached the trail. The map they gave us had turn by turn directions that helped us navigate through the rough terrain without getting lost. It didn’t take long to realized that the dust gets everywhere. Be sure to wear old clothes and invest in the bandana. The trails started out fairly easy then got steeper, bumpier, and more challenging as the trip went on. It took around an hour and a half to reach the Honanki ruins. These brick houses were put together with water and mud and built into the side of an awe-inspiring red rock mountain. 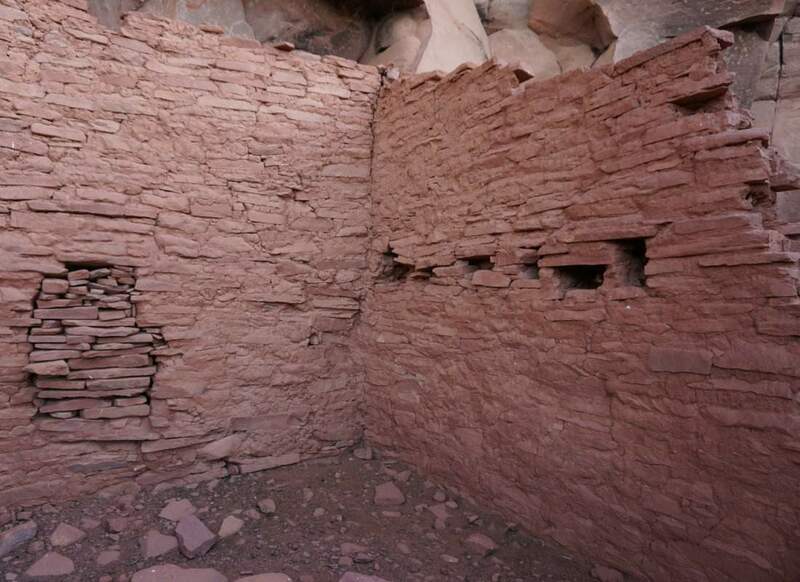 Many Native American tribes inhabited the houses such as the Sinagua tribe and the Hopi people. On the walls are pictographs of the weapons they used, pictures of them hunting animals, and even their handprints. The ruins are full of wildlife like javelinas, foxes, and bobcats along with the usual snakes, spiders and scorpions. The trails have some fairly steep climbs. This is the best part because it feels like you’re blazing your own trail. It’s just you and nature. After a lot of exhilarating driving we got back on the main roads and returned to the rental place. We gave them our helmets and goggles only to find we were covered in dust. It was in every nook and cranny. Overall, I would love to do it again because there are so many things to see and do and next time I would go for a full day ride. This is a perfect thing to do in Sedona with teens. Right outside Sedona is Slide Rock State Park. This place is so cool, because it’s a giant outdoor waterslide. 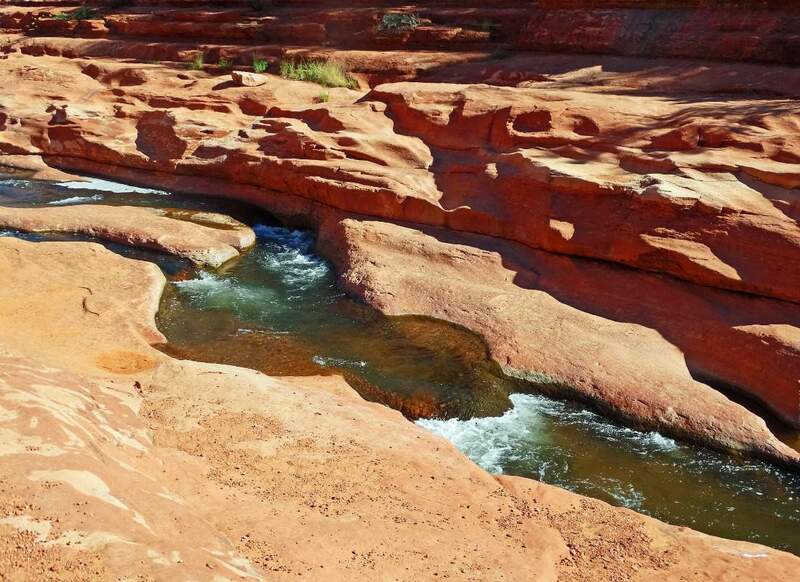 The natural red sandstone has been worn over the years into an 80 foot slide that kids will love. Water flows from Oak Creek and can be quite cold during certain times of year, but it’s worth it! You need to be careful on the rocks because the algae makes it quite slippery. There are areas along the slide where water pools and everyone swims which is really fun. This is one of my favorite spots to visit in Sedona, but know that it can get very busy during the summer months, so come early if you want to find a good parking spot. What’s not to love about a natural waterslide? The Grand Canyon is extraordinary. When I first looked at it I couldn’t take my eyes away. The colorful rocks seemed to go down forever into the canyon. After we looked in awe for a short while we decided to hike down and explore below the rim. 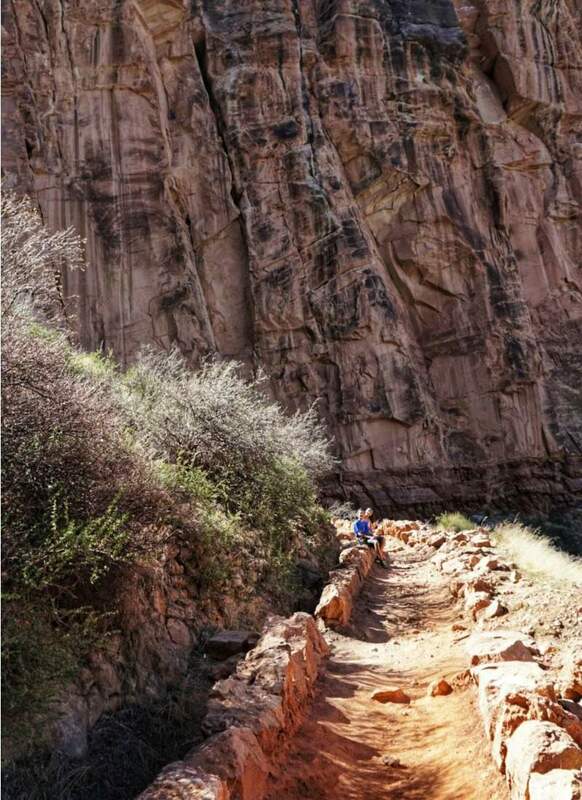 We took a short walk and found the Bright Angel Trail. 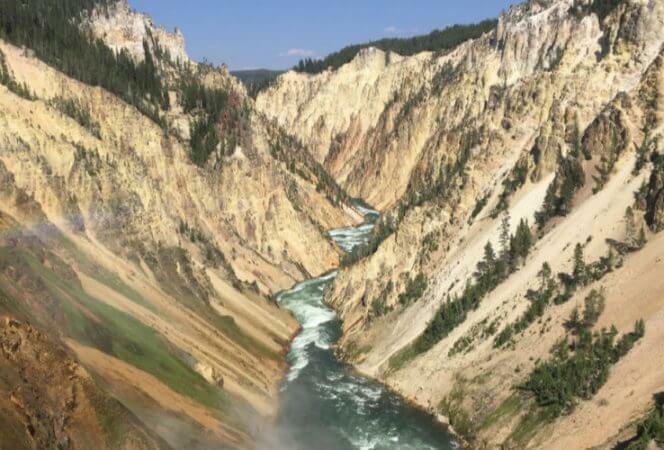 This path is less crowded than the rim and has multiple viewpoints that won’t disappoint. The path is narrow and there are no guard rails, so this is not for the faint of heart. The hike offers many picture spots. Like more than you can count. We hiked down to the first rest stop which was 1.5 miles down, but remember whatever goes down must come up. This is a very difficult hike so plan accordingly. Make sure you account for rest stops and drink plenty of water. Once you reach the bottom it is a good idea to have a little snack and rehydrate. Going up is nothing like the way down. It is very steep and we had to stop every 5 to 10 minutes to catch our breath. After about an hour and a half we made it back to the top. My experience there was like no other. Pictures will never do it justice. Although hiking the Bright Angel Trail was a lot of work this was one of my favorite parts of this vacation. Quite a hike, but worth it! 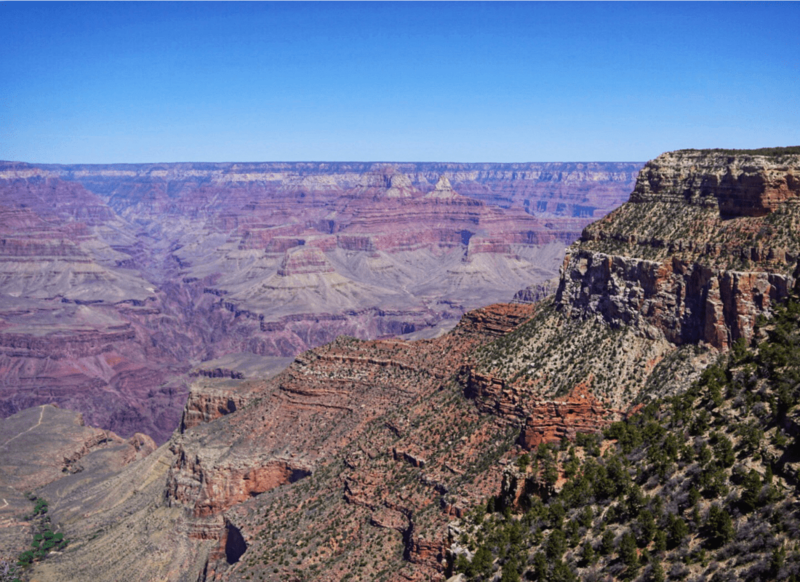 When visiting the Grand Canyon, the Grand Canyon Railway is a must do. The Railway is located right next to Route 66, which is one of America’s original highways. The small town located on Route 66, is called Williams, and it looks as though it has been pulled out of the movie “Cars”. Williams is captivating and has some quaint but charming places to eat while waiting for your train to arrive. When it’s time to board the train, friendly and charismatic train attendants greet you. 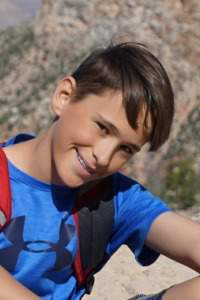 They give you practical pointers about the Grand Canyon and tell you all of the things you can see see and how to navigate the park once you arrive. There is a map provided for you, so it is recommended you devote a fraction of the two hour train ride to scanning the map so time is not wasted at the Canyon. The ride is two hours there and two hours back, even though that sounds like a long and boring trip, do not be fooled… it is far from that. First, the dazzling scenery is second to none. 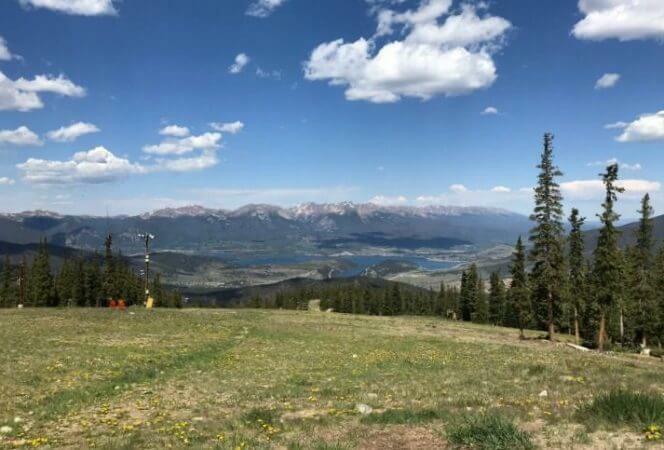 From the deserts’ cacti to the towering Ponderosa pine trees, the landscape is absolutely captivating. Second, there is entertainment to and from the canyon. It consists of a fiddler, a singer/guitarist with a kazoo, and two devilish outlaws. Singing along is encouraged when music is played! When returning to the station from the Grand Canyon, two outlaws who escaped the county jail began to chase the train on horseback. They soon board the train and create a show fit for Wild West enthusiasts. 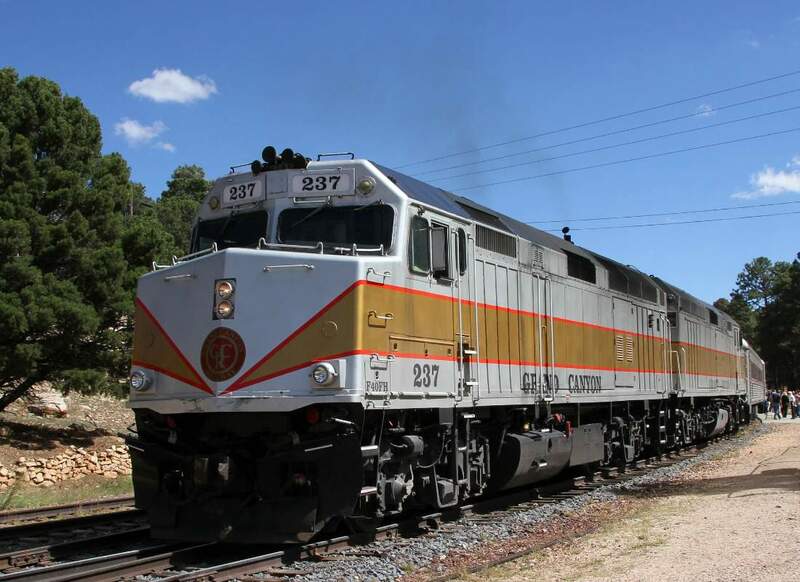 If you are looking for transportation to the Grand Canyon, the Grand Canyon Railway will not only get you from point A to point B, but it will make you feel like you traveled back to the time when the Wild West was alive and well. 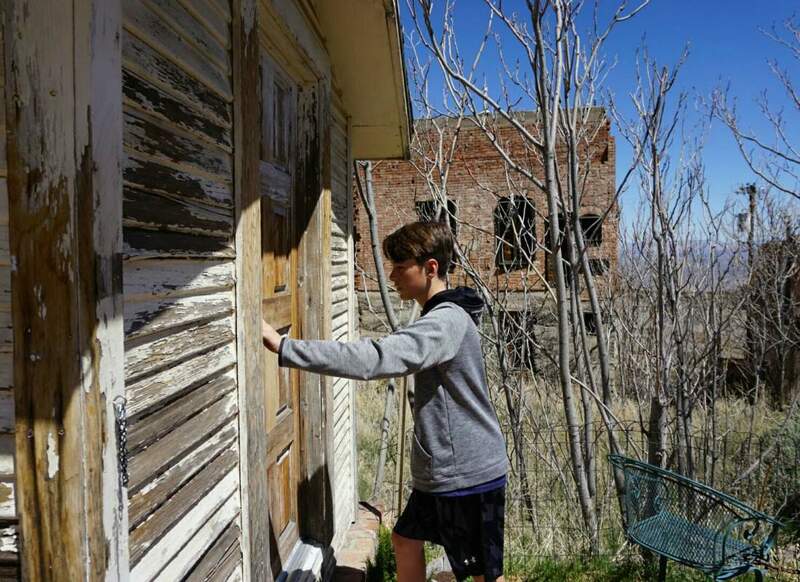 Jerome was a booming copper mining town in the late 1800s that has since become one of the largest ghost towns in America. Jerome is located a quick 45 minute drive from Sedona. The town is located on top of the 5,200 foot tall Cleopatra Hill, which gives you a stunning view of all the mountains and valleys in the distance. The Jerome Historical Society Mine Museum is a quaint place to learn all about Jerome’s interesting history. It gives you a detailed backstory of Jerome’s rise and fall for only two dollars. This “Wickedest Town in the West” has quite a history and was once the fourth largest city in Arizona Territory. The museum shows you how that all changed. When you’re hungry, there are a variety of restaurants to choose from. There are burgers, Mexican food, and cafés! The tiny, but enchanting stores sell everything from kettle corn to copper goods. Even though we were not able to do it, it is highly recommend that you take the Haunted Ghost Tours. The guides give you a Ghost Tracker so you can pick up any paranormal activity. You also tour the sites of unsolved murders and the haunted hospital. Make sure to stop by Jerome when you are traveling between Prescott and Flagstaff! About the authors: Kiera and Landon are siblings who live in New York. 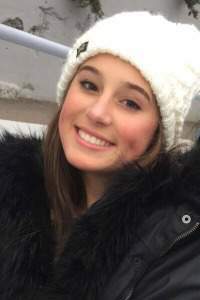 You can find more about them on our teen travel page.